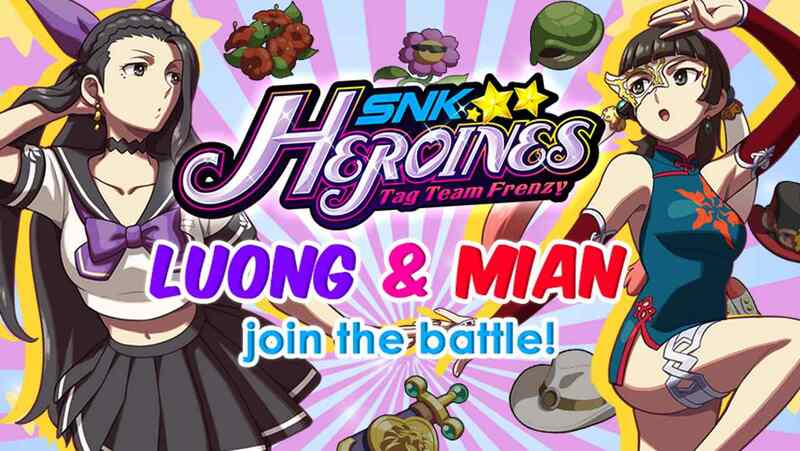 NIS America and SNK have revealed that two more ladies will battle it out in SNK Heroines: Tag Team Frenzy. Those are Luong, the femme fatale and a seductive beauty, and Mian, the Sichuan opera dancer that rarely appears without her mask. Both pack quite a punch and use acrobatics and martial arts moves to knock out their opponents. Luong has a whip-like “Tou” Dream Finish and Mian can use her “Rangurenbu” Dream Finish, resulting in alluring fighting styles that are as beautiful as they are powerful. SNK Heroines: Tag Team Frenzy will release for Nintendo Switch worldwide on September 7th.